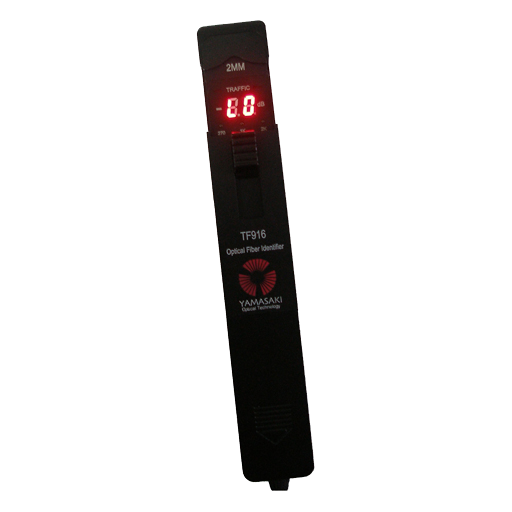 The Yamasaki TF916 Optical Fiber Identifier is an essential part of any professional fiber optic toolkit. 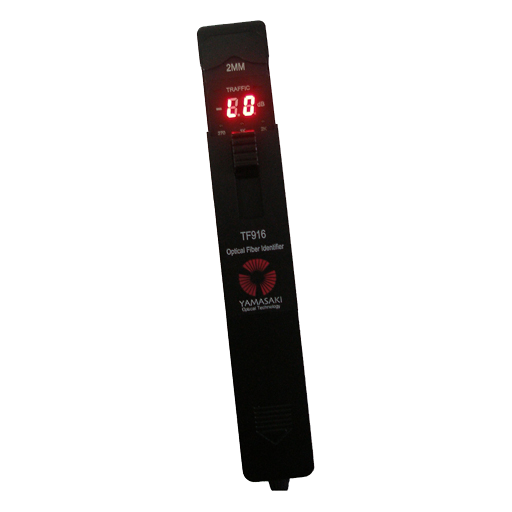 By inserting fiber into the Yamasaki TF916 Optical Fiber Identifier head, the Yamasaki TF916 Optical Fiber Identifier can be used to identify traffic, traffic direction, frequency and optical power within any singlemode optical fiber. The sleek black outer housing is comprised of an anodized aluminum to make it lightweight and tough. Also included with the Yamasaki TF916 Optical Fiber Identifier are four adaptor heads that are specifically designed to suit various optical fiber types with minimal bend loss. The easy to read ultra-bright LED display and audible tone make operation easier and can save you valuable time in the field. Recommended for use with the Yamasaki TLU1 Fiber Optic Light Source. Single and multimode units available. Alternate between any of the 4 wavelengths.